As a small business owner, there are a number of scams you need to be aware of designed to steal your money and harm your company. The Federal Trade Commission is bringing you a series highlighting these scams and what to do to protect your business. We’re kicking off this series with a focus on a scam involving unordered office supplies. The Federal Trade Commission (FTC) is the nation’s consumer protection agency. The FTC investigates and sues companies and people for unfair or deceptive acts or practices that target individual consumers or small businesses like yours. 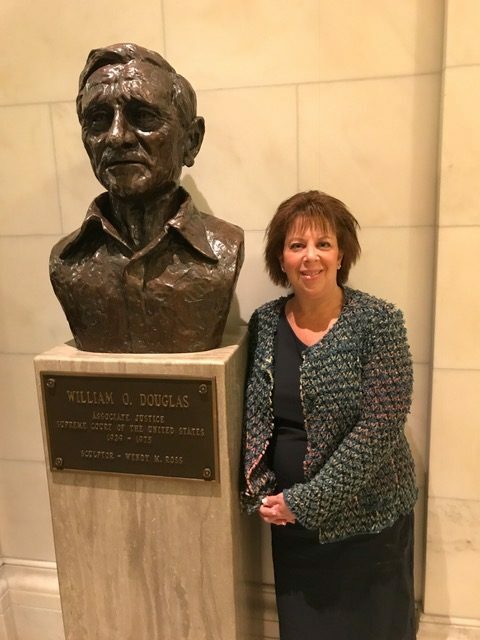 With its headquarters in Washington, D.C., and eight regional offices, including in Cleveland, the agency is well-positioned throughout the country to learn about scams and deceptive advertising affecting the local community. The FTC also has a database of more than 13 million complaints filed by consumers that it uses to determine trends in scams and which scams are affecting the most consumers. This information helps prioritize who the FTC should be investigating and can then be used to educate consumers on how to avoid the trending scams. In addition to preventing scams and deceptive advertising, the FTC also works to keep consumers’ data safe. The FTC ensures that companies that collect information from consumers only use the information in ways that consumers expect and that the companies take appropriate precautions to keep consumer information safe from hackers. The FTC also spearheads National Consumer Protection Week, a time to help people understand their consumer rights and make well-informed decisions about money, which is running now until March 10 this year. In conjunction with National Consumer Protection Week, staff from the FTC’s East Central Region will discuss, in this and future articles in this series, some of the scams and deceptive practices affecting businesses. Some of these tactics have been around forever but continue to make millions for scammers, while others are cutting-edge and the full impact hasn’t yet been seen. We will also talk about how to keep data secure and what to do in the event of a breach. Stick with us and your customers and your bottom-line will be grateful. The first scam to tackle is what we call the “unordered merchandise” scam. It typically starts with a schmoozy call to an unsuspecting small business or nonprofit. Sometimes the caller claims to be “confirming” an existing order, “verifying” an address, or offering a “free” catalog or sample. Then comes the supplies surprise—unordered merchandise arriving at the company’s doorstep followed by high-pressure demands to pay up. When business owners refuse to pay, the scammers may claim to have audio recordings that prove the order was placed, but never come forward with the purported “proof.” The scammers may also have the birthdate of one of the employees as “proof” that the employee agreed to the merchandise, when, in reality, the employee was conned into giving their birthdate during the initial call. Sometimes the scammer will insist on payment, but offer a “discount” of less than the invoice amount. In one recent case, FTC attorneys in Cleveland successfully sued a group of businesses and individuals for sending and billing for unordered merchandise. The defendants’ telemarketers called organizations and used deceptive tactics to get employee names—usually someone in the maintenance department—and delivery addresses. The next step: a seemingly innocuous conversation in which the defendants’ telemarketers offered to send a catalog, a small promotional gift (like a knife or gift card), and sometimes a sample of products. The defendants then shipped light bulbs and cleaning supplies to the business or organization, following up with high-priced invoices for those supplies, listing the employee’s name on the invoice as having ordered them. If a business or nonprofit paid an invoice, the defendants would send more merchandise and more invoices, often using different company names (although they were all part of the same organization). When challenged, the defendants would try to bluff or trick victims into paying for the goods anyway. For example, they would argue that the fact that an employee had accepted the promotional gift showed that the employee also must have ordered the supplies. The defendants took more than $58 million from businesses and nonprofits just between 2010 and 2014. Tip No. 1: Keep unordered merchandise but don’t pay for it. If your business receives merchandise no one on your staff ordered, the law says you don’t have to return it and the vendor can’t legally collect on it. You don’t have to pay for it, even if you used the item before you realized it was unordered. Tip No. 2: Your best defense is a trained staff. Spend five minutes at a staff meeting educating your team about the signs of a supply scam. Caution them about fake friendly callers who worm their way in by claiming to have done business with you before or who say they have an “urgent” need to speak to someone in your maintenance department. If more than one person answers the main phone at your business, post a warning nearby about supply scams. For nonprofits, let volunteers know that fraudsters target charities, churches and community groups, too. Tip No. 3: Consolidate contacts. Supply scammers try to exploit the fact that small businesses aren’t likely to have purchasing departments. But you can still designate one person to respond to all inquiries about office supplies, “free” offers or “existing” orders. Putting one person in charge—especially a staffer with a well-calibrated baloney detector—can help protect your company from con artists. Tip No. 4: Investigate every invoice. Don’t pay a penny unless you know the bill is for items you or your staff actually authorized. If someone tries to pressure you into paying for unordered merchandise, complain to the FTC and Ohio’s Attorney General and let the pushy caller know you’re on to them. Tip No. 5: Bookmark the FTC’s site on protecting small businesses. The FTC’s website features resources to help protect your company. For example, Small Business Scams clues you into typical tactics of business-to-business cons. The FTC works to prevent fraudulent, deceptive and unfair business practices in the marketplace and to provide information to help consumers spot, stop and avoid them. You can file a complaint online at www.ftc.gov/complaint or by telephone at 1-877-FTC-HELP (1-877-382-4357). Have we gotten too casual on the phone? Are we being lazy when communicating with clients or prospective clients? Don’t just phone it in—or maybe you can! Give your image a facelift by taking these quick and easy actions toward improved phone communication. Most small businesses facing the challenge of improving their image in the marketplace are staring at major investments of time and money. Properly planned and launched, those investments can earn significant positive results. Not to worry. Here are five simple and easy phone tactics to overhaul your image. So easy you can phone them in. They require no investment—only some creativity and effort. Start small and simple. See how many you can add to your small business tool kit and start using them immediately. Most small businesses use a voice mail greeting when they can’t answer incoming calls. This message might be the first impression a prospect or new customer gets of the company’s style and values. And it might reinforce those impressions with repeat callers. Listen to your voice mail greeting like a caller would. How do you feel about the business and the people running it? Do you want to do business with them? What kind of impressions does this recorded message cast? Probably not favorable. More like lazy, dumb and cheap. How simple to invest a few minutes to personalize that greeting? Job done—concise, courteous and helpful. Now, that wasn’t so hard, was it? So, what do callers hear when you do answer the phone? What kind of an image does your greeting cast? “Hi …” is a good start, but it needs help: “Hi, this is Ben with Glitztronics …” is better, but “Hi … this is Ben Dover with Glitztronics. How can I help you today?” really works well. Which one casts the best image of Ben? Which is the most like yours? What do you say when a caller needs help, asks a question or just says, “Thanks”? I do have a problem with responding, “No problem”, which seems to be most everyone’s default response these days. Simply say, “You’re welcome” instead. And even better is, “My pleasure.” While the shift from “problem” to “pleasure” is subtle, it does say something about your attitude. And if the other person says it’s not a good time, no need to apologize. If you knew that, you wouldn’t have called and also, remember, they picked up the phone in the first place. Because most people have some version of Caller ID installed on their phone, make sure the read out isn’t lame like “unknown caller”, “not available” or blank. Those all signal a robo or spam call. Would you answer a call like that yourself? If I don’t recognize the name or number, I let the call go into voice mail where they hear my concise and courteous message. Most don’t leave a message, which tells me they were robo or spammers. When you do leave a voice message, what do they hear? “Hi … This is Ben returning your call” Is a good start, but not enough to really be helpful. “Hi … This is Ben Dover with Glitztronics returning your call. I can meet with you Tuesday at 10 or Thursday at 3. Let me know what works for you at 459-703-3162.’ While longer, it’s a more courteous and complete communication. As you’ve seen, it doesn’t take much time or effort to phone in your image-casting make-over tactics that differentiate your business from the competition who don’t think it matters or have even bothered to try. Everything your customers and prospects hear over the phone should be on purpose and for a purpose. What kind of an image-casting score would they give your business? Phil Stella runs Effective Training & Communication, www.communicate-confidently.com, 440-449-0356, and empowers business leaders to communicate confidently. A popular trainer and executive coach on workplace communications and sales presentations, he is also on the Cleveland faculty of the Goldman Sachs 10,000 Small Businesses Initiative. Good employees can be the most important ingredients in a successful business. But finding and hiring good employees can be among the most challenging aspects of running a small or growing company. Numerous federal and state laws govern the various processes of soliciting employees, including advertising, interviewing and hiring. 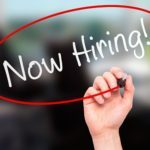 If you don’t follow the rules, you may find yourself as the defendant in a lawsuit over your hiring (or non-hiring) practices. Or, you may end up being stuck with a very costly and unproductive employee who you have trouble firing. Employers are subject to many laws requiring equal employment opportunity and prohibiting discrimination in employment, which can include Title VII of the Civil Rights Act of 1964, the Equal Pay Act, the Age Discrimination in Employment Act, the Civil Rights Act of 1966, the Immigration Reform and Control Act, the American with Disabilities Act and numerous other federal and state laws. Are you married with kids? Focus on questions relating to the skill and experience of the candidates and the qualifications needed to perform the job. From a fact checking perspective, think about checking out school experience (some people embellish their degrees or where they went to school); talk to the candidate’s former supervisor(s), if possible, who may provide more meaningful information than the company’s HR department; for sensitive jobs, check for felony convictions; and verify past employment (ensure the candidate actually worked at each of the companies listed, in the position listed, and check dates of employment). 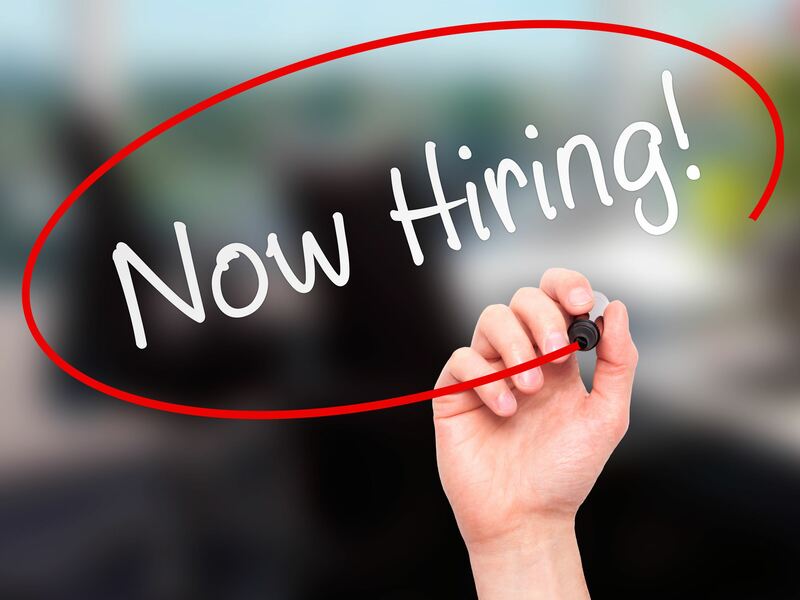 Part 2 of this blog will offer helping hints for your hiring tool kit. 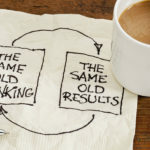 What Happens to Your Business After You? Many of you own your own business. Have you thought about what comes next? Both for you and the company? With respect to your business there are only three options: You can die still owning it, you can pass it on, or you can sell it. 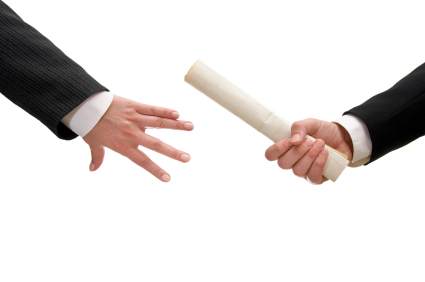 Many entrepreneurs fail to realize that without succession planning there is no value in the business. There are four triggers that can create problems if not planned for in advance. What happens if the owner dies? What if the owner becomes permanently disabled? What happens when the owner leaves? And what if multiple owners cannot resolve their disagreements? 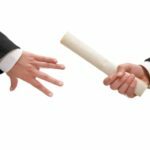 Succession planning calls for certain events to trigger a change, such as those in the preceding paragraph, and sets forth the method to determine the value of the company at the time of such triggering event. Succession planning also encourages the owner to remember to dress up the business for sale at a later date. The owner should start early in preparing both herself and the company for an eventual sale. There are numerous steps in the selling process, from creating your team, finding a buyer, setting terms, determining the appropriate structure, financing, and so on. The key is to plan, in advance, not to wait for a triggering event to set the wheels in motion. In order to best realize the value of your business, run it with the objective of someday selling it. What an awesome experience I had on June 19, being sworn into the bar of the Supreme Court of the United States. It is very humbling to stand in front of nine justices in black robes in such a regal environment. 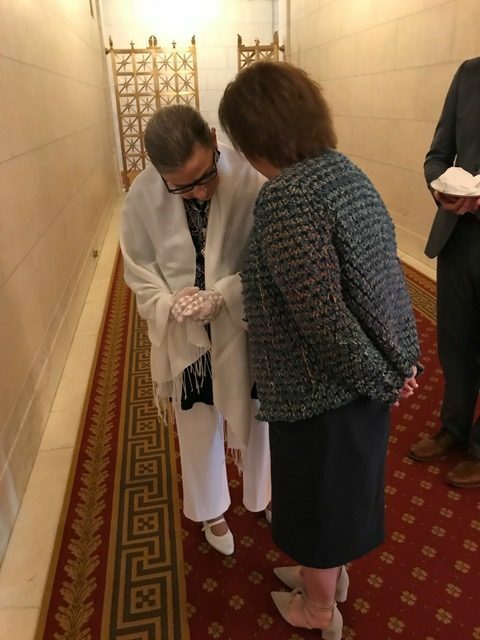 My good fortune continued as I had the opportunity to have a brief one-on-one conversation with Ruth Bader Ginsburg. What a day! As a business lawyer, an outsourced general counsel, I don’t expect to ever argue before the Court. However taking the oath to join the group of lawyers allowed to practice before the nation’s highest court was an opportunity not to be missed. Whenever I go to court, I have the same stupid thought: is that judge wearing a real shirt and tie under that robe or is it a dickey? It’s sophomoric and immature but I can’t get rid of that image of Judge Harry Stone in Night Court wearing that half-shirt in those countless 80’s childhood nights in front of the tube. That and Arnie Becker from LA Law made me want to be a lawyer. Night Court, that is, not the idea of wearing a dickey. That’s my Wizard of Oz behind-the-green-curtain question today. If anyone knows the answer, or if any judges out there are bold enough to fess up, let me know. Anonymity is guaranteed on pain of a contempt order. Here’s another one: what do in-house corporate counsel do all day? I used to think they split their time between golf courses and suites at the Q. Wish I did more of that. I can’t speak for all of them but I can tell you what I did much of the time during my ten years as general counsel for Broadvox. It all fell into two buckets: proactive and reactive. You want it to be a lot more of the former and a lot less of the latter. More planning for disasters and avoiding them equals less time, less energy, less stress and less money spent reacting to them, and to the government agencies, plaintiffs and plaintiffs’ lawyers that start investigations when a disgruntled employee or customer, or a curious investigator, files a complaint. It seems obvious because it is obvious. The way to be proactive is to conduct a good old-fashioned internal audit. You have to take it seriously and you have to pretend to be someone else. It’s tough, it’s time-consuming, but it’s worth it. And here’s the thing: you don’t need to have an in-house GC in your office to do that for you. In fact, you really don’t even need an outside attorney to do that for you, though relying on one will be much more helpful, for reasons I’ll mention in a minute. Like a lot of things in my world, if you study up and plan well enough, then doing an audit with a good lawyer is better than doing one with a bad lawyer, doing one with a lawyer is usually better than doing one without one, but doing one without one can be better than not doing one at all, and that’s what most companies do — or don’t do. Most companies don’t audit themselves. That keeps their lawyers much busier later on, when they’re reacting and responding to subpoenas, lawsuits and investigations. Step 1: Create a written plan. I used a gantt chart. I love gantt charts. If you don’t know what a gantt chart is, go google gantt charts. Every good project needs one. It’s a chart that shows you a visual, calendar-style depiction of who’s doing what and when. (Another little nugget you pick up in-house, along with how to read financial statements and how to use excel for things other than shopping lists.) Business people have outpaced lawyers in this area for years. Your plan or gantt chart will specify all the tasks in audit, name the person responsible for each task, and state how long that task will go from a start date to an end date. Go ahead, google it and you’ll see what it looks like. In fact, google some combination of “internal audit gantt chart” and you’ll see what other folks have done. Step 2: Identify the universe of legal exposure areas that your company is likely to have. One way of thinking about this is picturing your company as a leaky bucket and trying to figure out what’s likely to cause those leaks. 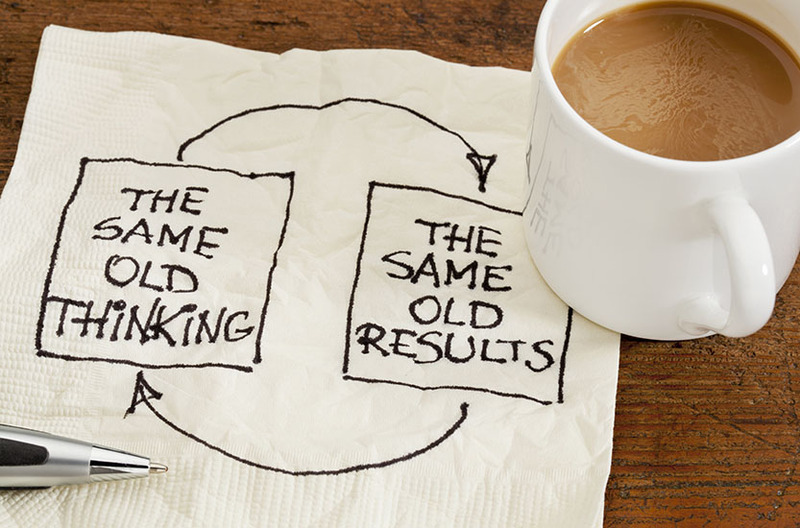 Another image I like to use is something Tony Robbins uses. It’s a car or bike wheel divided into pie-pieces radiating outwards from the center, with each pie only going out as far as the company is compliant in that area. When one pie piece is shorter than the other ones (because, for example, hiring practices are 60% compliant while most of the other areas are 90% compliant), your car or bike is going to have a bumpy ride. Usually, the exposure areas (or pie pieces) fall into these categories: employment, tax, corporate, contracts, government regulation, real estate and information technology / security. You want your wheel to be relatively smooth and well-rounded, your bucket devoid of major leaks. Step 3: Next, get specific. Drill down in those leaky areas to the ones specific to your business. Here, talking to a lawyer helps. Let’s do an aside here. Here are a couple of reasons why talking to an attorney at this stage is helpful. The first is issue-spotting. For example, on the employment piece of your bucket / wheel, your business lawyer will ask you if you have independent contractors. If you do, one of the drill-down areas will be proper classification of contractors and employees. (For more info on this topic, check out our earlier blog post, here. Another issue your business lawyer will spot is proper exemption classification. A misclassification of a true employee as a disguised contractor, or of a non-exempt employee as an exempt employee, is a major leak, a major bump in the wheel that is your business. Don’t get that wrong. But it’s hard to spot those issues if you’re not a lawyer. So that’s one reason why it helps to talk to one. Another really good reason to have an attorney run your audit is that she’s more likely to be objective. Business owners are like parents of small children, or writers of crappy novels. They think their creations are better, or smarter, or more interesting than they actually are. I can’t tell you how many times I’ve had to wake clients up from the sweet slumber of blissful ignorance, simply because they had fallen madly in love with the exceptional analytical skills they’d gleaned from that one semester of business law at Cleveland State (no offense to Cleveland State). One of the best reasons to have a lawyer conduct your audit though is the attorney client privilege. With few exceptions, you can protect your compliance audit and all the nasty cobwebs it uncovers with a confidentiality that may be far stronger than any non-disclosure agreement you’ve signed with your employees, assuming you’ve signed one (something a good audit would uncover and a good lawyer would issue-spot). Lawyers don’t need such agreements. Confidentiality is an ethical obligation for us and we can lose our ticket if we don’t comply with it. If your lawyer is guiding your audit, and stamping your plan and your findings with a “performed at the direction of counsel” label, and you don’t waive the privilege by (for example) posting it online or sharing it with your girlfriend, your audit should be protected from later subpoenas. If your lawyer is involved, he’s creating more specific compliance areas based on the type of business you run and the facts and circumstances inside your business. If you’re a manufacturer or a car dealership, one specific area within the government regulation pie may be OSHA compliance or environmental compliance. If you’re a retailer, one specific area under government compliance may be FTC (Federal Trade Commission) or CSPA (Consumer Sales Practices Act) compliance. If your lawyer is not involved, you may be able to get close by googling (is that a real word now?) “Ohio employment compliance areas” or “[your state] safety compliance” or “[your industry] government regulations”. Spend a lot of time on this and try to create a hierarchy of compliance areas as best as you can. Step 4: Create a compliance checklist for each area. Again, there’s a lawyer and a non-lawyer answer here. Lawyers will pull checklists from Lexis or Westlaw or Practical Law or some other research database for each compliance area specific to your business from Step 3. If you’re not a lawyer, you may still be able to buy access to one of these databases, or you can google that too. Creating good checklists is really important. Another aside: whether you do or do not use a lawyer, don’t expect a perfect checklist or a perfect audit. The goal is to plug big leaks, the ones that either draw the most attention from plaintiffs’ lawyers and government agencies, the ones that have the highest rates of investigation, the ones that have the highest exposure points, the ones that will cost you the most if you get it wrong. Again, employee classification tends to be a big-ticket item. Same with IT security and customer contracts. If you’re in a regulated industry, agency activity among your peers tends to be well known and easy to research. Your particular business will also have its own priorities. I start with Pareto’s Principle: what are the 20% of compliance issues that tend to be responsible for 80% of the exposure? I then expand that to 30% or 40%, until I can account for 90%-95% of the exposure points in terms of liability and expense. This is probably more art than science, but you’re unlikely to create a 100% compliant company without making the audit process more of a pain than it’s worth. One way to do this is to prioritize your drill-down areas and your checklist items into high-, medium- and low risk items, and note them as such on the checklist. Later, when you create a report card, you’ll use weighted values to create a sliding scale of scores based on the risk level of each item. Step 5: Create your team. Choose them wisely, assign tasks and then meet with them to explain. Employee communications should be on a need to know basis. Let employees not involved in the audit go about their business and their lives without worrying about what an audit might mean. When we do one for our clients, we do an introductory call or meeting with managers at various tiers of the company who will be involved in the audit. Managing communications is important to avoid panic or anxiety. We tell managers that this is intended to help the company keep more of its money and stay out of trouble, nothing more. We tell them it’s not intended to embarrass or punish anyone, just identify and fix legal issues. They tend to be receptive to this message. We also talk about confidentiality, candor and integrity of the process. This is important and should be carefully scripted. Step 6: Document requests and spot checking. Here we/you will send a document request to the people in your company most likely to have relevant documents. If you get any pushback, you’re probably on to something. Review the documents closely against the checklist items specific to documents. If you’re in a regulated industry, there are probably disclosure obligations or magic language about privacy or warranties or something similar. They often need to match the regs verbatim. Many of your document requests will involve spot checking. Sometimes you’ll want to send someone trustworthy to file locations to pull their own documents. For checklist items that don’t involve documents (for example, is there a proper eye washing station in your garage bay, if one is required; are fire extinguishers located where they’re supposed to be, etc. ), you or your lawyer or your designee will physically go to the department to observe compliance or non-compliance. Step 7: Conduct interviews. This is necessary to learn about processes and practices that are difficult to read in a document or observe when spot checking. 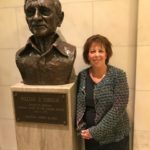 I use the “funnel technique”, where you start with open-ended questions and then drill down to the compliance checklist items, veering off when you hear something worthy of a detour. If you’re delegating to managers, coach them on how to conduct proper interviews. Step 8: Make written findings. At this point, you’re going to generate a report. Ideally, your checklist was specific enough to tell you what was necessary to comply or not comply. Your finding should reference those items. Step 9: Create a report card. Here, you’ll grade your compliance and non-compliance. We use grades like my kids use. People seem to like that. It’s easy to administer, and gives businesses goals to strive for in the next go-round. Remember that not all compliance areas are equal, and not all checklist items within those compliance areas are equal. Having an employee handbook with strict anti-discrimination policies, and having the right labor law posters on the wall, may be more important than ensuring that your vacation policy has been properly communicated to that one remote employee you have in Alaska. Step 10: Create a fix-it report. Once you’ve identifies your leaks, create a new checklist to plug them. This is often a copy/paste job from your report card. Start with the high dollar / high-risk items and work your way down, flagging any show-stoppers (or as one of my friends calls them, door-closers). Assign each fix to a particular manager and create a new gantt chart that says who is doing what and when. Step 11: Follow up. You’re almost there. Don’t waste all that effort. You need to follow up on the fixes to make sure they’re getting done, and then you need to do a periodic follow up on the entire audit to make sure no one’s sloughing off and that your car is still running on a smooth wheel. I recommend revisiting your audit at least every six months, at the very least on the high-dollar items. You also want to revisit your checklists once a year to ensure that new regulations haven’t created new compliance areas or new individual checklist items. So, okay, I know that seems like a lot. If you’ve read this far, though, then you’re either my mother or a business-person who’s interested in operating free of legal problems in our business. Take my word for it — or don’t, you know this already: be proactive, be a boy scout, be prepared. You know I’m right. And now you know what in-house counsel do for their clients, and what former in-house counsel do for their clients when they start a law firm. 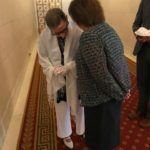 Now, who can tell me if judges wear dickeys under their robes? Lack of diversity of ideas reinforces “business as usual”. “Business as usual” often results in little business in the future. Although many people think of federal trademark or service mark protection, if your mark will not be used in interstate commerce you may want to consider an Ohio filing. Registration of a mark provides two things. First, it provides actual public notice. By registering the mark with a central filing agency, the mark is available for public scrutiny. This benefits both the owner, who seeks exlusive use of the mark, and a potential filer who seeks to ensure that her mark does not conflict with a mark already in use. Second, registration of a mark might be used as evidence in the event an infringement claim is pursued by the registrant. A mark that resembles a mark registered in the U.S. Patent and Trademark Office by another entity and is not abandoned, and which is likely to cause confusion, mistake or is deceptive. In addition to a sig ned security agreement, a security interest is not enforceable unless the secured party has given value, such as if the secured party provides the debtor with a loan, or sells or otherwise delivers goods to the debtor. 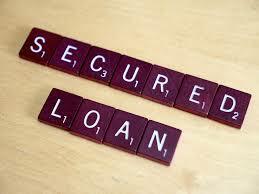 A security agreement may provide for past, current or future loans that a creditor may make to a debtor. With the debtor’s consent, an existing creditor might obtain collateral for a past loan, and the earlier loan provides the necessary value. 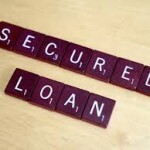 A security interest may also secure a loan made at the same time the security interest is taken. In addition, the security agreement may specify that the collateral will secure a loan that will be made in the future. If the creditor makes a binding commitment to make a future loan, that binding commitment provides the necessary value. However, if the creditor merely retains the option to make a future loan, value is not given and the security interest does not attach until the future loan is made. A part nership is an association of two or more people to carry on as co-owners of a business for profit. 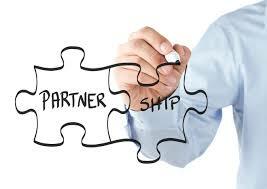 A partnership can be a general partnership or a limited partnership. 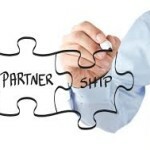 Many people decide to form a partnership because it allows for a pooling of owner assets, both monetary and skill sets. In a general partnership, owners have unlimited personal liability for all debts of the partnership. Unless there is an agreement stating otherwise, any partner may bind the partnership to an agreement with a third party. Even in the case of an agreement stating otherwise, a partner’s actions may still be binding up the partnership. It is for this reason that I caution people not to refer to other people as partners. Third parties can rely on this representation, which may result in you being bound to obligations to which you did not actually agree.